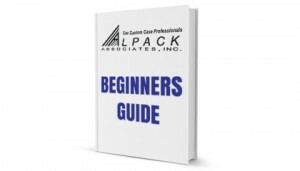 Since its inception in 1984 Alpack Associates has dedicated itself to excellence in the design, manufacture, importation and distribution of custom carrying and shipping cases. Alpack has designed cases for the military, aerospace, airlines, broadcast video, medical, electronics, optical and photographic industries to name just a few. In addition, it has become the leading supplier of custom sample/demonstration cases for vinyl replacement windows and commercial lighting. It’s updated 20,000 square foot facility in Garfield NJ features manufacturing, assembly and warehousing. In-house capabilities include die-cutting, laminating , gluing , hot stamping, silk- screening and digital printing. With a manufacturing workforce whose combined experience exceeds 300 years. All Alpack cases feature interiors that are customized to satisfy the requirements of your product and its specific handling environment. Cushioning is designed to accommodate the fragility of the product and its usage. This approach has proven to offer the most affordable solution to your specific case needs. Still unsure how the custom case process works? Simply visit our beginners guide page and go from there. . . Need a case design for your sales team? Please take a photo of your product(s), fill out the form below and click submit. It's that easy! Or, [click here] to learn more.